♥ Take your single out of the bins and hand it over to the DJ! ♥ This is Singlefeestje! Did you were really proud too, on that special first CD-single, with that one great hit? Do you remember which one it was? 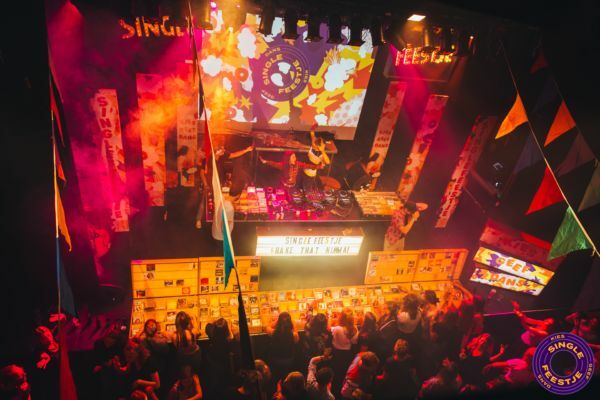 Come and look for it at Singlefeestje while you reminisce sweet memories with your best friends! The Hague, here we go! Come and grab in the boxes with thousands of singles, find your favorite, give it to the DJ and lets dance, from Kendrick to Celine Dion. From Robbie Williams to De Jeugd van Tegenwoordig. From the latest hits to the finest sing-alongs.